One glimpse at the terrifying trajectory of the Ethiopian Airlines jetliner that crashed on Sunday shortly after takeoff from Addis Ababa and it is clear something was dreadfully wrong from the start. 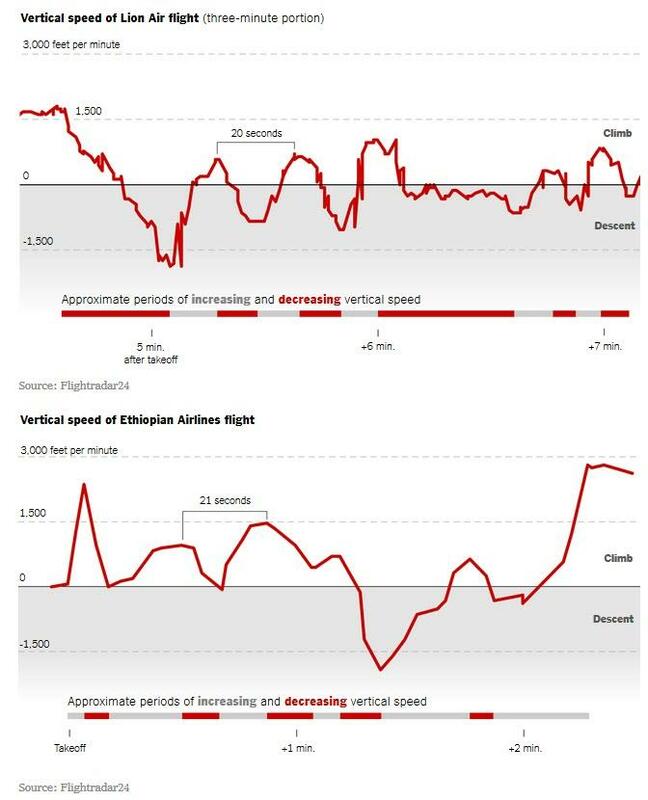 As The New York Times notes, controllers also observed that the aircraft, a new Boeing 737 Max 8, was oscillating up and down by hundreds of feet - a sign that something was extraordinarily wrong. Pilots are reportedly abuzz over publicly available radar data that showed the aircraft had accelerated far beyond what is considered standard practice, for reasons that remain unclear. Flight 302 was immediately cleared to turn back, turning right as it climbed even further. As the Times notes, the crash of flight 302 is reminiscent of the October crash of another Boeing 737 Max 8 which crashed in Indonesia. Both took place soon after takeoff, and the crews of both planes had sought to return to the airport. 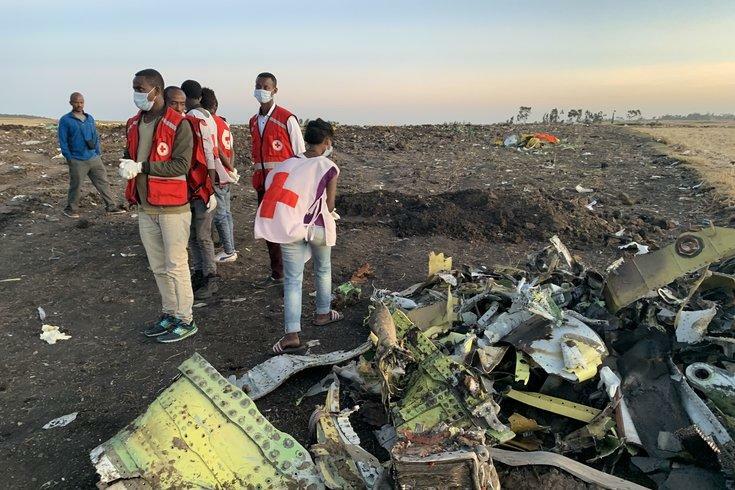 The investigation of the Ethiopian crash is still in its early stages - with the so-called black boxes containing voice and flight data arriving in France on Thursday for further analysis. Boeing, meanwhile, has been working on a software update for all 737 Max 8 jets which is expected by April. Meanwhile, questions remain over whether pilots should have undergone more training as airlines rolled out more technologically advanced models. As we reported on Tuesday, several pilots repeatedly warned federal authorities of safety concerns over the 737 Max 8, with one captain calling the plane's flight manual "inadequate and almost criminally insufficient," according to the Dallas Morning News. On Wednesday, the chairman of the transportation committee in the House of Representatives, Peter Defazio (D-OR) said he would investigate the FAA's certification of the 737 Max, including whether pilots have received inadequate training.